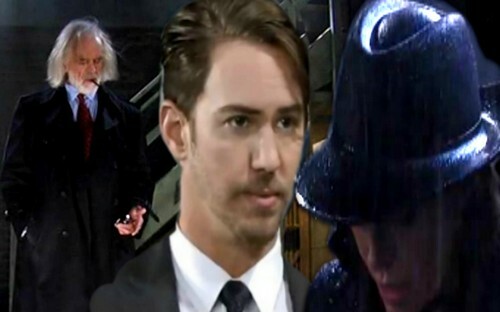 General Hospital (GH) spoilers tease that Peter August (Wes Ramsay) flew into town with an agenda in mind and as each day passes, it becomes clearer what that is. 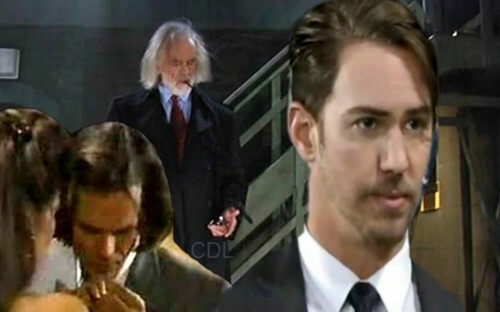 CDL reported first in our GH spoilers and this has since been confirmed on General Hospital that Nathan West (Ryan Paevey) is Cesar Faison’s (Anders Hove) son with Dr. Liesl Obrecht (Kathleen Gati) – but looks certain that Peter August is Faison’s son with WSB Agent Anna Devane (Finola Hughes). General Hospital spoilers suggest this shouldn’t come as an entire shock to long time savvy GH fans because if you remember back to the year 1990 and off and on throughout their history, there was definitely chemistry between Anna and Faison – but more often than not it was simply just a deep admiration of his work on Anna’s part. General Hospital history proves that Faison was obsessed with Anna Devane for decades, sometimes that obsession almost became his downfall. But GH fans who were watching back in 1990 and 1991 remember there are definitely times that Anna could have gotten pregnant by Faison and wouldn’t have even known it. She was under his spell, all he had to do is say a phrase and she was all his. The timing would be perfect too! A simple harvesting and in vitro development of the fertilized ovum would be child’s play for a genius like Faison. So while Anna very possibly didn’t give birth to Peter, she remains his biological mom. Of course the shock for Anna will be great when she eventually learns she a son, Peter August the traitor, no less! General Hospital spoilers reveal that since Peter is really Anna’s son too, that could help explain the very reason he is Faison’s traitor. Dr. Britt Westbourne (Kelly Thiebaud), under pressure from Sonny Corinthos (Maurice Benard) and Jason Morgan (Steve Burton) admitted that the script, “The Severed Branch” spooked her father, causing him to flee town. GH spoilers hint that being a traitor would definitely run in Peter’s veins if he is indeed Anna’s son because not only has Anna betrayed the WSB Agency on more than on occasion but her twin sister, Alexandra (Finola Hughes) was a traitor to the Agency and their country. Sonny is convinced that Faison has another son, since Nathan definitely isn’t the one who wrote the script, leaving all fingers pointing at Peter August primarily via the name Octavian, the writer of “The Severed Branch” and the son of Faison’s character in the story. Octavian named himself Augustus when he assumed power as Emperor of Rome…. How do you feel about Peter August being the son of Anna Devane and Cesar Faison and how do you think Anna will react to the shocking news? Above all that, do you think Peter knows Anna is his mother? General Hospital spoilers say it will be amazing to see Anna Devane and Dr. Liesl Obrecht go to battle on a different level, once Dr. O learns thay could both be sharing sons with Cesar Faison. Peter has become deeply embroiled with many residents in Port Charles while working for Drew (Billy Miller) and Sam Morgan (Kelly Monaco). Having Anna and Faison as parents will literally blow people’s minds in Port Charles when the truth is revealed. Peter August is pushing Lulu Falconeri (Emme Rylan) to pursue a story on her father, Luke Spencer’s (Anthony Geary) history with Faison – how will she react when she learns the depths of his deception? 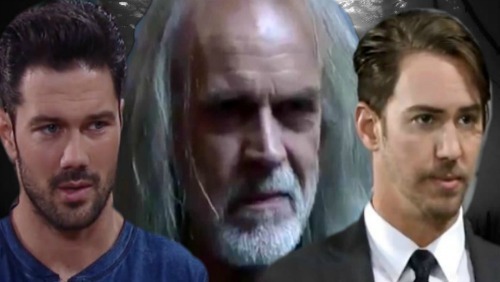 General Hospital spoilers reveal that when the truth of Peter’s parentage comes out, it will have consequences far deeper than anyone anticipated. Be sure to tune into ABC’s General Hospital (GH) to catch up on all the exciting stories happening right now. Check CDL General Hospital spoilers often for updates, news, rumors and spoilers!